Records retention rules are nothing new. They’ve been part of regulatory compliance even before computers were commonplace in business. However, the advent of email made records retention a lot more challenging for many organizations. Suddenly, every employee is producing multiple (sometimes hundreds) of emails a day, all of which can be subject to records retention requirements in many types of businesses. In this post, I am not going to address the types of emails you need to retain, nor the length of time you need to store them. You should work with qualified legal counsel to determine the requirements for your business. What I am going to address is how Microsoft Exchange Online can help you safely, securely and cost-effectively comply with whatever records retention guidelines you establish. Exchange Online is the hosted messaging application found in Office 365. For businesses both large and small, Exchange Online is a more cost-effective solution because it eliminates the need to maintain Exchange Server in-house or invest in the hardware needed to run the application. For organizations that are moving from on-premises messaging applications, it also offers increased reliability. Microsoft’s financially backed uptime guarantee of 99.9% is better than any guarantee you’ll get from almost any other provider, let alone the kind of uptime you’ll typically find for an on-premises implementation of Exchange Server. In the old days, companies generally complied with records retention rules through email backups and journaling. There are a few obvious challenges with backups: they don’t always get done, backup media has a higher propensity to fail the older it gets, and worst of all, storing all of those emails can get costly. Journaling is often confused with email backups, but it’s a slightly different animal. An email journal contains all of the same information as the backup plus additional information such as the physical location of the sender and receivers and the unique identifier of the systems involved. Journaling is required in the event an organization ever needs to prove something for a legal challenge. As anyone who’s managed journaling before knows, it can be tedious and time-consuming. If you’re managing the journaling destination, the emails pile up quickly. Mid-sized and enterprise organizations may need a dedicated administrator for journal management because they will constantly be creating new mailboxes and redirecting journaling to the new locations. A great deal of processor capacity and storage space must be dedicated for the filing, archiving, and indexing of the journaling mailboxes. Litigation Holds are the latest evolution, or alternative, to journaling and email backups. While email journaling and backups send a copy of an email to another location, Exchange Server offers a category of Litigation Hold called an In-Place Hold that keeps a copy of the email in a specified location. A user can still delete the email or content as they’d expect, but In-Place Holds will indefinitely retain the email in a hidden location only administrators can access. Litigation Holds also let you refine your retention policies according to your specific requirements with a feature called Query-Based Holds. For example, you can place holds on emails that match criteria you set such as keywords, time parameters, and sender/recipient. You can also specify the length of time for which you want to retain these records. Managing Litigation and In-Place Holds is pretty easy to do. While you want to ensure you are managing these parameters under the direction of legal counsel, you don’t necessarily need to use an IT resource. Microsoft often talks about assigning the task to a paralegal, for example. 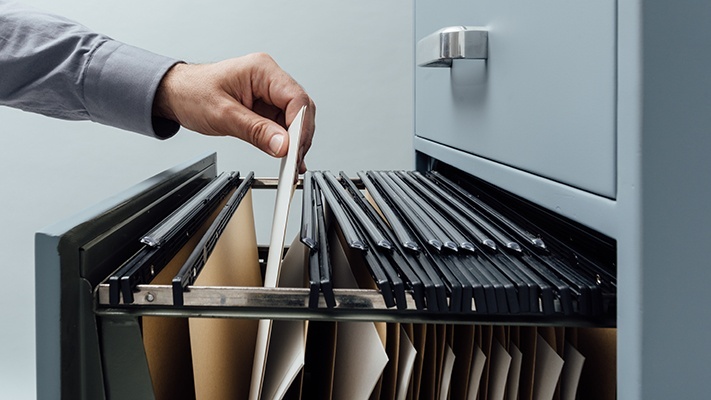 Finally, in the event of a legal challenge, eDiscovery allows you to search your electronically stored information across documents, presentations, audio and video files, SharePoint sites and emails including those in Litigation Hold. No change in user behavior required – Getting users to follow prescribed processes has always been one of the toughest challenges in compliance. Litigation and In-Place Holds don’t require any behavioral or process changes. Less chance of human error/intervention – Users can’t permanently delete emails covered under the holds, nor can they access emails in the hidden location without an administrator’s assistance. More control over what is stored – Legal counsel will probably recommend you only store what is absolutely required. Query-Based Holds give you that control. Improved legal response – In the event of a legal challenge, counsel will probably recommend you submit only what is needed, but to do it as quickly as possible to avoid additional, more intrusive requests. eDiscovery makes the process much simpler and faster. TierPoint offers managed cloud services across public cloud platforms like Azure, private hosted clouds, and hybrid environments. For organizations migrating to Office 365, we offer services like initial environment assessments, performance recommendations, managed Office 365, migration and deployment services and more. Contact us today to learn about how we can help you get started on your path to digital transformation. As a Collaboration Engineer, John is responsible for helping customers manage and maintain Office 365. John brings 10 years of IT experience assisting small and large organizations across North America. As an early adopter of Office 365, John has focused on improving productivity and reliability using Microsoft Office 365 for over 6 years. Is your organization prepared to move to the cloud? Many organizations aren’t. As with any major IT and business investment, cloud migration requires analysis and planning to be successful.